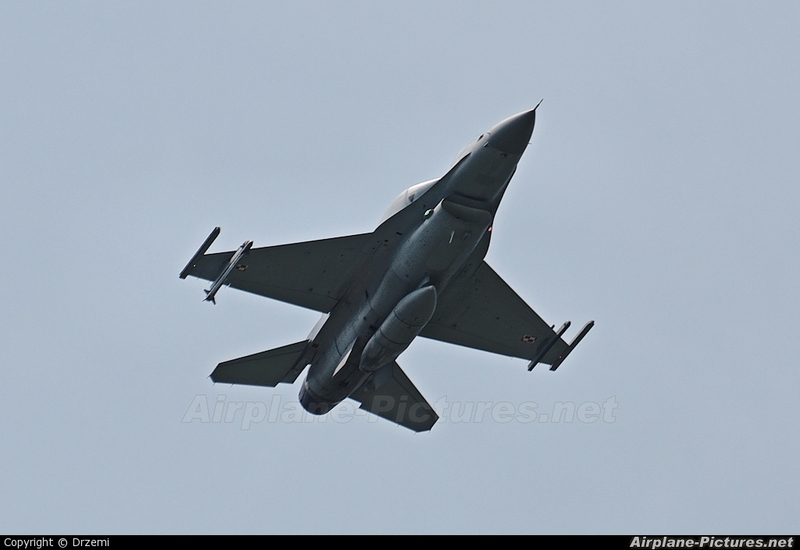 One of the pair of Polish Vipers flying over Biala Podlaska during the Air Picnic. They came out of the blue, split and made 2 low passes each, 1 with afterburner. Unfortunately I wasn't lucky enough this time to get better pic than this. Note: different chessboards under wings! This F-16 came from the USA with one chessboard which is propper (on the left) and one which is no longer used in Polish Air Force! Thanks to Grześ J. for paying my attention to it.